Here’s how it looked for most of the day, spraying up roostertails of water. Asayan wasn’t too happy with the conditions, since he wasn’t able to go as fast as he would have liked. The water also made his engine bay all filthy. He insisted I take some photos of it, since he has neatened it up a bit recently with some matte black hammer finish and a custom punched alloy strut tower brace. A quick spray with the hose, and it was ready for some pics under terrrible indoor lighting. As for the actual setup, it’s the same as before. I forgot to ask about the internals, but it’s damn quick and revs its guts off. I’m guessing there’s Toda stuff inside too, but I’m not sure. Sorry 86 peoples! 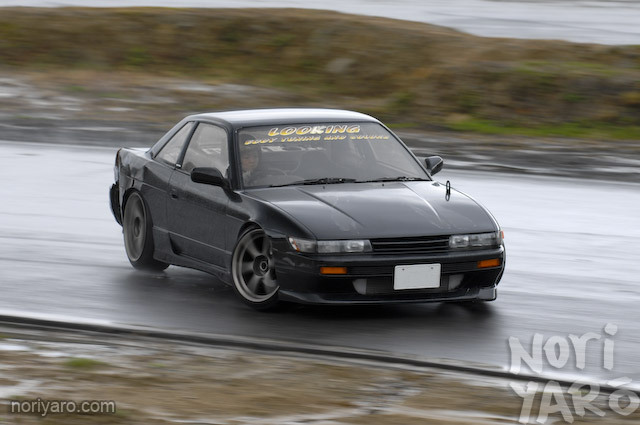 Here’s Hitomi driving her S13. She kindly asks that you ignore the crash damage on the back. I think they’re a couple or married or something, but I’m not sure. I can hardly understand a thing Asayan and Hitomi say, thanks to their heavy use of Kansai dialect! up to how high can it rev? i like how the s13 look in the rain..
That first shot is just awesome, lighting is perfect! 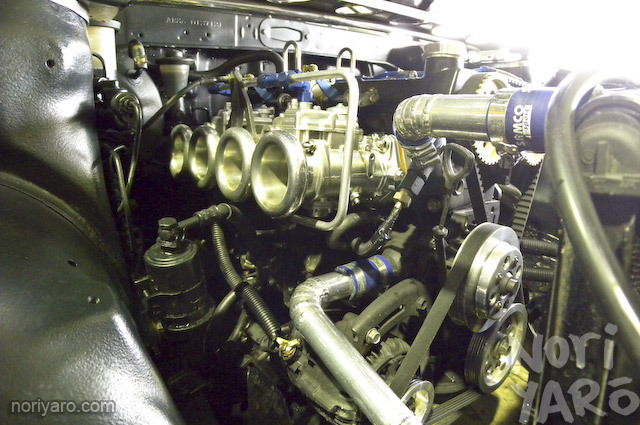 That engine bay is a work of art, Asayan is one luck guy. Rad. I’m feelin this. To really do a “Linhberg” you need to also have a blog entry that reads like highschool prose about how much you love yourself, I mean light capturing device, I mean camera… ROFL!!! Love the color on that 86!! Fan the rolla’ is gorgous!!! 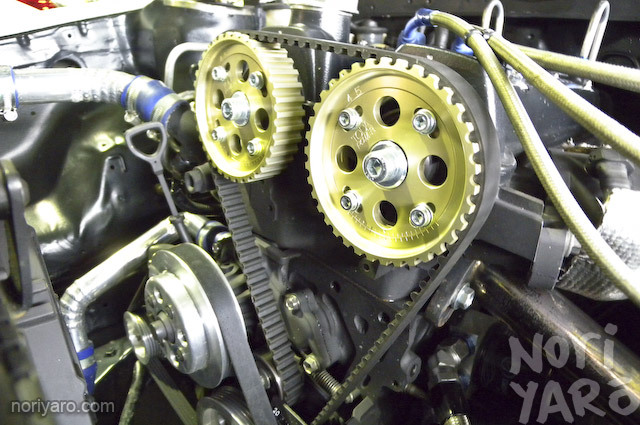 !and the engine set up looks sOOOOO sick! Plus the guys lady drifts?I’m packing up and headed to Japan! 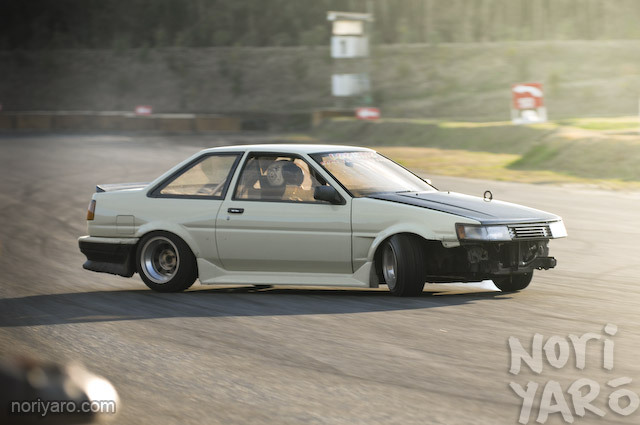 That is one nasty AE86!! Thanks Alexi! This is one of my top 10 hachis! If you see Asayan again, please ask for some specs. Alexi, is there a website for “Looking”? 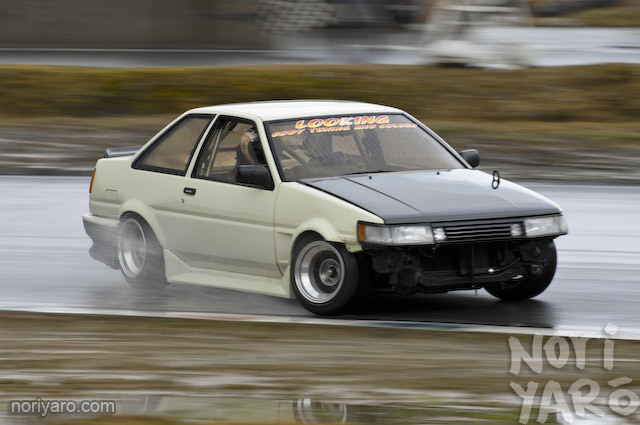 I want to source some 86 coupe led tail lights.